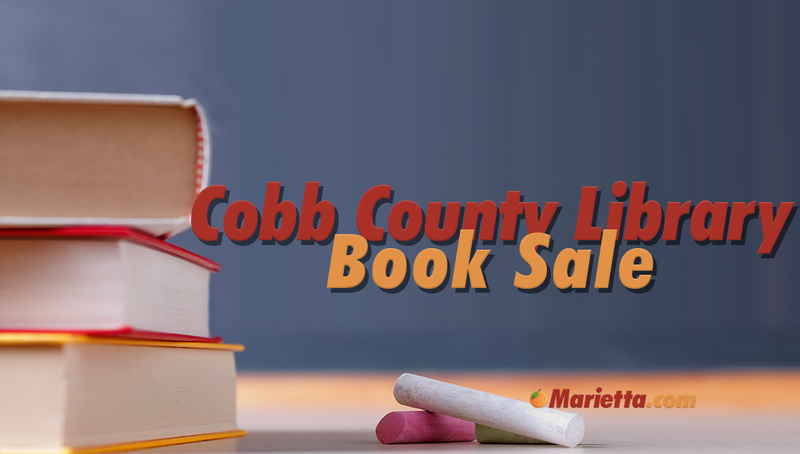 The Cobb County Library and The Friends of the Library are hosting their semi-annual book sale at Cobb Civic Center. Over 100,000 items are for sale at the event which takes place in the spring and fall for three days beginning on Friday. Sale items include books both hardbound and paperback for children, young adults and adults; audio-visuals including books on tape and compact disc; videocassettes; compact discs; records; magazines; and comic books. All proceeds are used to purchase new books and other library materials. Prices range from 10 cents to $4. Books, Magazines, Videos, Records, CDs, and More. Please note that payment is by cash or check only (no credit or debit cards and no ATM on site). Friday and Saturday – Bids close at 4:00 p.m. on Saturday. For information on the sale or to volunteer for this event, please contact Jonathan McKeown at 770-528-2332 or email mckeownj@cobbcat.org. How can I donate books and records to this sale? I have a number of them from an estate I would like to donate. Books can be dropped off at any branch during regular hours. Donations are tax deductible. Donations that are not added to the Cobb library collection are sold at the semi-annual Friends of the Library book sale and proceeds are used to buy new books. Books are only accepted if they are in boxes, and the boxes cannot be returned. Be sure to call ahead of time if you have a large volume of books to donate. Cobb County Public Library is pleased to accept all donations of books and other materials. To donate books and other items, you may drop them off at any branch during regular library hours. Donations at the Central Library should be taken to the loading dock in the rear of the library, Monday – Friday from 9:00 a.m. – 4:00 p.m. After 4:00 you may drop your donations off at the main entrance of the Central Library. You will receive a receipt for the number and type of items that you donate. You can get a tax deduction for your donation; however, determining the amount you can deduct is your responsibility. Donated materials not appropriate for the collection are placed in the semi-annual Friends of the Library book sale. Proceeds are used to buy new materials for all Cobb County libraries. Remember, all donations become the property of the Library when they are received. Once donated books are given to the Library, it is up to the discretion of the Library which items will be put into circulation. If you have a large number of books you would like to donate, please call in advance (770-528-2364) to see if we can handle the donation on any particular day. All donations should be packed in boxes. We can not accept donations that are not in boxes and we are not able to exchange boxes (please put your donations in boxes that they can remain in). Thank you for supporting the Cobb County Public Library System. If you have questions specifically for the Friends of the Cobb County Library, you can reach the Program Coordinator for the Friends of the Cobb County Public Library System at (770) 528-2342. Do you think there will be any R.L. Stine-Fear Street books there?If so, please write back. I’m a big Fear Street fan and I would love it if I could find some to buy. When is the scheduled date/s for the Fall semi-annual book sale at JMiller park? The next book sale is October 14-16, 2011. Thanks for the information, we will update the article to reflect the new pricing. Thanks for including this info, and we hope to see everyone at the book sale! Will y’all be doing the box sale again? Where it’s a box of mixed for $20. One more thing – Patty’s number has changed to (770) 528-2331. Thanks for the updates. We have updated the article with this new information. For the booksell will they accept debit cards or is it cash only for purchases..
How can be the payments made? Only cash or they accept credit cards too? Thanks for the questions, we have updated the article with this information. They accept cash or check only. They do not take credit card or debit card, and there is no ATM on site. When will Fall semi-annual booksale be held? Please post dates on your site. Would also like to know when Spring sale is scheduled. Will there be a book sale this fall and spring? Please post the dates so we can make plans to attend. Thank you! I apologize! I just noticed the dates are updated from 2010 to 2013 and it is posted on the calendar. Thank you! Great, I’m looking forward to checking out this year’s sale! 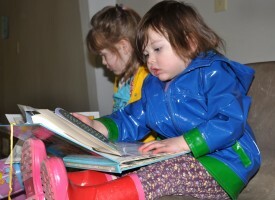 Catherine and Evelyn are now 7 and 5 and had a GREAT time at this month’s book sale. Thanks CCPLS!